According to a recent article in Forbes, the poor economic outlook is causing many people to invest in tangible goods like jewelry and diamonds. They cite a recent auction conducted by Chicago auctioneers Leslie Hindman, which attracted buyers from around the world and sparked bidding wars on several items that ended up being sold for around $100,000. Also mentioned was Sotheby’s recent September jewelry auction which broke all expectations—and included items from Van Cleef & Arpels and Harry Winston which sold for more than double their pre-sale valuations. According to the article, what really is becoming popular are colored diamonds. These diamonds are much more rare that colorless diamonds. How rare? Well the ratio of one carat colored diamonds to one carat colorless diamonds is 1 in 100,000. 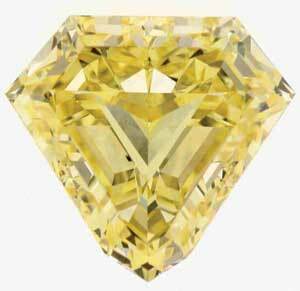 It is because of this rarity that high quality colored diamonds are said to double in value around every 4 years! Thus it is no surprise why diamond buyers seek them out. That’s something to keep in mind if you come across some fine quality jewelry set with colored diamonds at an area San Diego pawn shop. After all, if you have money to invest, why not put it into something that you can wear and enjoy every day? Of course, diamonds and diamond jewelry are not the only things to be looking for in San Diego pawn shops. Gold coins and gold bars are also items to keep an eye out for. Read more: Buying and Selling Gold Bullion Coins at Pawn Shops. Gem Diamonds said yesterday that it had recovered a 478-carat diamond from its mine in Lesotho – the 20th-largest rough diamond yet found. The gem had the potential to become one of the largest round-cut diamonds in the world. The Daily Telegraph reports that the gem was discovered on September 8 at the Letseng mine in Lesotho, a small kingdom inside South Africa. The mine, which was owned by De Beers for many years, has already produced three of the world’s biggest diamonds. These are the 603-carat Lesotho Promise, the 493-carat Leteng Legacy and the 601-carat Lesotho Brown. Clifford Elphick, Gem Diamonds’ chief executive, said: “Preliminary examination of this remarkable diamond indicates that it will yield a record-breaking polished stone of the very best colour and clarity.” The diamond, which has not yet been named, has the potential to yield a 150-carat polished stone. That would dwarf the 105-carat round-cut Koh-i-Noor diamond seized by Britain from India in the 19th century and now part of the Crown Jewels. 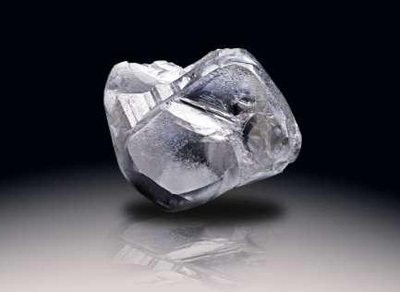 It would still only be a fraction of the size, however, of the Cullinan diamond, which was discovered in 1905. This huge gemstone was 3,106 carats when recovered and yielded a teardrop-shaped diamond of 530 carats – the Great Star of Africa. The Letseng mine is owned by a mining company that is 70pc-owned by Gem Diamonds, with the remaining 30pc held by the Lesotho government. Mr Elphick added: “Letseng continues to reward its shareholders with the production of these significant diamonds and to confirm its position as one of the great mines in the diamond industry. 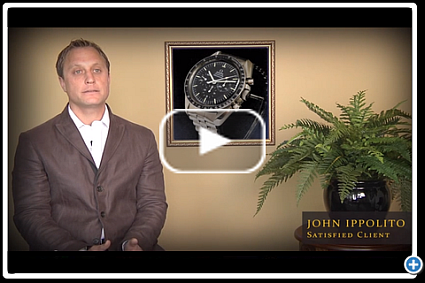 We at the San Diego Luxury Pawn Shop Report have a special affection and respect for fine mechanical watches, seeing them as a perfect blend of beauty and precision. Thus we were happy to read the following news: New Auction House to Sell Masterpiece Watches.